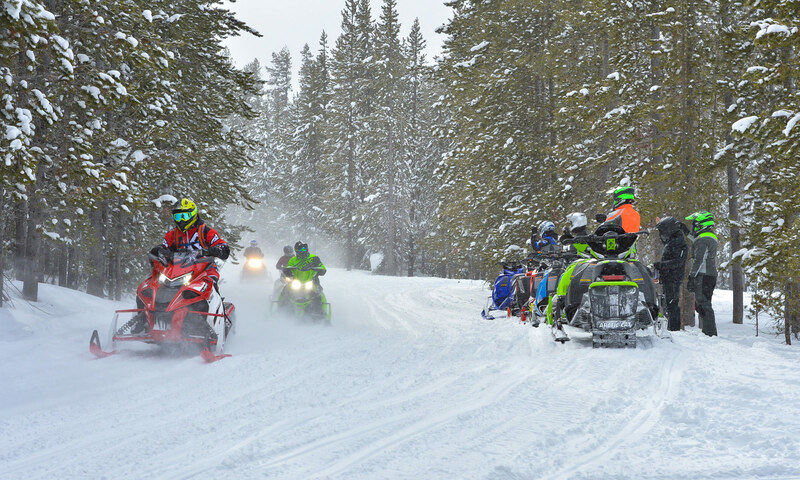 Following too close while riding in a group is a common cause of snowmobile crashes. These crashes can easily occur when a lead rider slows by applying the brake, suddenly lets off on the throttle, or abruptly stops for unanticipated reasons. If the next rider is following too closely there will not be sufficient time to react and avoid a collision. The results can be deadly given how a snowmobile's weight adds to the force of impact during a crash. Be sure to always slow down, use hand signals and avoid following too closely to stay safe while riding in a group. 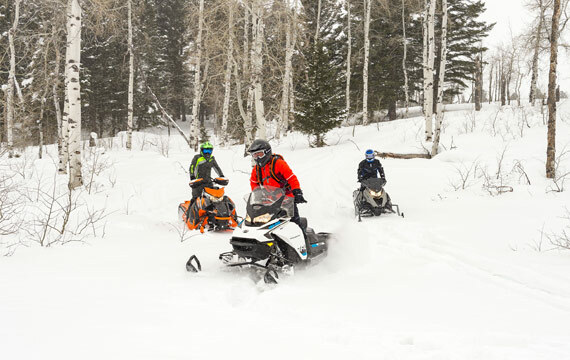 Always allow extra distance between snowmobiles when riding in whiteouts from snow dust, fog, wind, and snowstorms, as well as when riding at night. When riding in a group on trails, always ride in single file and never side-by-side since there is always a likelihood of on-coming traffic. 3-Second Rule: When the person in front of you passes an object, note where it is and start counting. By the time you arrive at that same object you should have counted to no less than three seconds. If you counted to less than three, you need to slow down and allow more space between your snowmobile and the rider in front of you to ensure you'll have enough time to react and stop safely. If riding in single file in a group off-trail, continue to practice the 3-second rule. 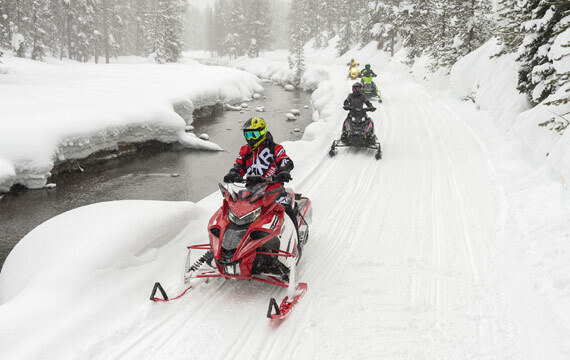 If riding in a spread out or staggered manner while in a group in open areas – such as on frozen lakes or in open fields or mountain meadows – allow ample off-set distance between sleds to that allows sufficient space for side-to-side maneuvering around bumps, rocks, drifts, or other hazards. Never ride close together when traveling side-by-side.